I love this time of year, with great tournaments coming thick and fast. 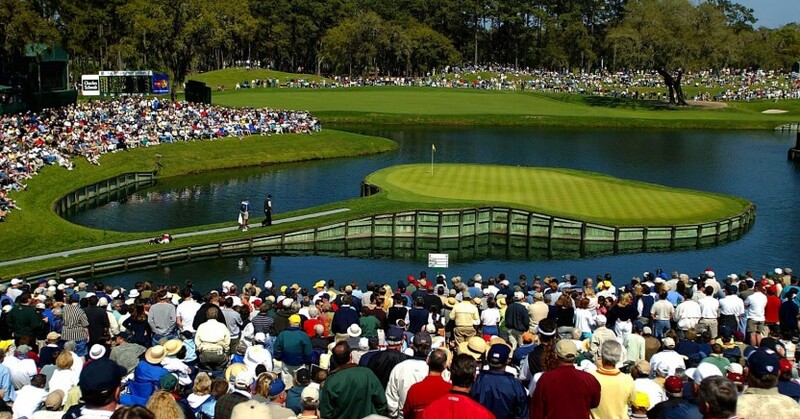 A couple of weeks after the Masters, it’s the WGC Matchplay, followed by The Players Championship at TPC Sawgrass. From a personal standpoint, I love The Players, having covered it many times now. It’s the PGA Tour’s flagship event, with arguably the strongest field of the year, at a superb golf course. It’s also one of the most fan-friendly weeks of the year, which adds to the unique and lively atmosphere. Of course, the players all feel the same, and much of that is down to this being their own tournament. It’s staged at the Tour’s headquarters, and with numerous pros living in the Sunshine State of Florida, it counts as a home game for many. But it’s not just the pros that love it – golf fans all over the world do too. You can watch the best in the game tackle this famous Pete Dye layout each spring and then go and play it yourself. There isn’t a course more obviously built for tournament golf than Sawgrass. Not only is it set up to test the very best, but there are spots on every hole where a gallery can comfortably watch all the action unfold. This is where the course earns the ‘Stadium’ part of its name – almost every green is in an amphitheatre setting. Even some of the fairways have excellent viewing areas, but for the best seat in the house, you need to grab yourself a beer and head to 17. It’s loud, lairy and brilliant, and easily outguns the 16th at Scottsdale for sheer golfing drama. The Stadium course is tough. Aside from the obvious intimidation factor of the 17th, one of the most demanding characteristics of the course is the width – or should I say narrowness – of the fairways. Adding insult to difficulty, the strategically-placed bunkers make this a thought-provoking test, with the approach shots demanding real accuracy, and many players calling this a ‘second shot’ golf course. The par-five holes at Sawgrass are outstanding, and the 16th is one of my favourites. The trees on the left of the fairway do a great job of pushing your tee shot out to the right, simultaneously concealing what lies up ahead. The walk down the fairway is one of the most memorable in the game. Once you clear the trees on the right, you can see the 17th green in the distance, and you’re already thinking several shots ahead. Forget that for a minute though – the second shot at 16 either demands near-perfection to hit the green in two, or steers you towards the right side, near the water, for an unobstructed view of the pin with your approach. It’s a classic risk-reward hole at a crucial point in the round. In terms of par three, the 17th at Sawgrass is one of the most iconic – and most copied – in the game. It’s as if playing with your nerves went into the design of the hole. The 80-or-so yard walk to the tee allows you to really take in the setting, which is much more expansive than it looks on television. From a tournament standpoint, it’s effectively a huge bowl, with thousands packed in to watch the action. From a design standpoint, the setting makes reading the wind very difficult. There is a line of trees behind the green, and another behind the tee, that prevent the players from sensing any high level wind. The bowl created by 16 and 17 also causes the wind to swirl, and you’ll see many players backing off a couple of times before committing to the shot. It’s only a little flick with a wedge, but couple that with the wind factor and thousands ready to cheer or jeer, and it’s a pressure-packed moment. You’ll feel all those nerves when you play it for yourself, even with just your mates and a caddy watching! I defy any of you to not want to get out and play this course having watched it on TV, and that’s the beauty of it, you absolutely can! Book ahead for some great deals – you can stay right next door to the course at The Sawgrass Marriott resort and grab an all-in package, plus it’s easy to get to, with flights straight into Orlando, followed by a two-hour drive north drive.